Gavin: Hey everyone, first thing, tell us a bit about yourselves. Garrett: My background is pretty diverse, and covers both the public and private sectors. I have worked in both local and federal government, most recently with Salt Lake City Economic Development. On the public side, I have worked with several startups and venture capital funds, both locally and in San Francisco, so I have seen the challenges entrepreneurs face and the criteria investors use to evaluate the potential of companies. Thomas: I’ve always been an entrepreneur. I started my first business, Blindside–a specialty retail store focused on action sports–when I was 18 years old. Blindside grew to a 4-store chain with two franchise stores. In 2002, as a board member of the SLC Chamber of Commerce and SLC Redevelopment Committee, I launched Circle Lounge, a downtown jazz lounge and sushi lounge, and operated it for a year before selling it. After that, I founded Process Agency, a brand strategy and product development group focused on launching consumer products. Today, Process Agency has offices in Shanghai and Dongguan, in addition to our home base in SLC. In 2006, I co-founded SLC Creative, a property management company focused on acquiring and building creative artist and retail spaces. More recently, in 2008, I launched Process Ventures to acquire and manage internal brands and product-based investments. The common thread running through everything I’ve done is my love of Utah and my belief that the innovation happening here is worthy of notice on a global scale. Ron: Like Thomas, I’ve always had an entrepreneurial spirit. I grew up and started my career in New York. I got my feet wet in sales with Circon ACMI, a medical device company, and Pitney Bowes. In 1993, just as the web was starting to go mainstream, I co-founded Lead Dog Design (LDD), an award-winning graphic design and web development firm serving a number of Fortune 500 clients. In 2000, I negotiated the sale of LDD to Iconixx, then one of the top ten largest media development firms. I stayed on as Executive Vice President at Iconixx for a year, overseeing nearly 90 percent sales growth during the “dot-com crash.” In 2001, I negotiated and financed the buyback of LDD and rebranded the firm as Lead Dog Digital. During this time, I was recognized as one of Ernst & Young’s top entrepreneurs. After 9/11, I decided it was time to get out of New York and I moved to Utah. I sold Lead Dog Digital to Bridgeline Software and served as an independent consultant, helping small- and medium-sized businesses overcome obstacles to growth. In 2006, I founded LDD Partners, a strategic and management consulting firm. In addition to managing LDD Partners, I am a licensed investment banker with Brill Securities, soon to part of Western International Securities. Gavin: How is your previous experience relevant to the work you’re doing at Church & State? Garrett: Each of us brings a unique perspective and a broad array of experiences that are relevant to the entrepreneurs we help. As a group, we have a proven track record in both the public and private sector, as well as with all aspects of starting and growing a business from concept to exit. Gavin: When did each of you first meet each other? Ron: My wife, Lucia, is an oil painter, and Thomas and I met by chance through a realtor when we were both looking at buildings to develop into artists’ studio space. After we got to know each other, Thomas approached me with the idea of purchasing a building and using it to develop a unique startup community. As a serial entrepreneur, I was intrigued. Then, Thomas shocked me by suggesting that we give the space away for free. But, when he described his vision–an altruistic and self-sustaining platform to elevate innovation and entrepreneurship in Utah–I recognized the opportunity to develop a replicable model of economic development that would be based on strong alignment of public and private resources. We met Garrett after we’d purchased the building, when we were starting to [discuss] the unique concept of Church & State with the city. Gavin: How did the initial concept for a space like this come about, and what was the process in taking action to make it work? Thomas: The name Church & State was inspired by the fact that this church was originally built in 1893 before Utah became a state, so we wanted to respect the long history here. We knew we wanted our space to be different–classic, timeless and with an Old World cigar room feel that communicated heritage and comfort. We worked with MSJA Architecture and Interior Design to bring this vision to life, using raw steel, wood and concrete and a rich color palette to create thoughtfully designed spaces that are both functional and social. Gavin: How did you come across the location, and what condition was it in when you first started looking at it? Ron: The church had already been on the market for some time before we first came across it. When we first toured the building, it was still being used for weekly services, but it had definitely been neglected for many years. With his practiced eye, Thomas saw beyond the disrepair to the strong foundation and bones of the building, and he was able to envision the space we would be able to coax out of the clutter. 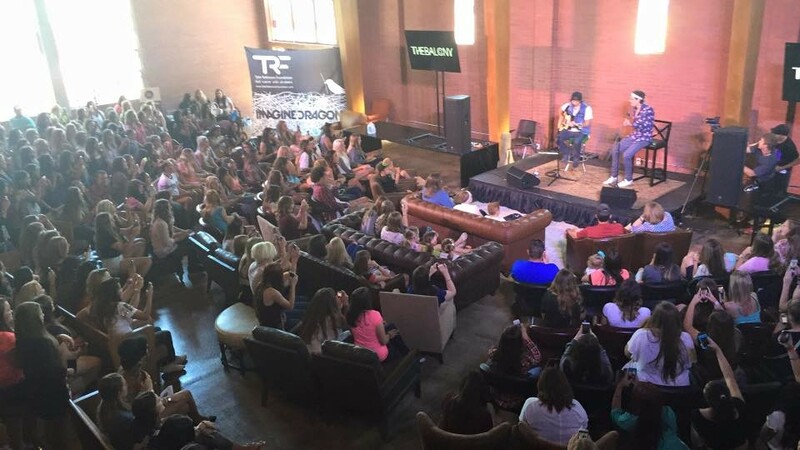 Gavin: What renovations did you make to the place to bring it up to what you needed? Ron: The renovations made are too long to list, but in addition to asbestos abatement and installation of a state-of-the-art HVAC system, we converted the old pulpit into conference rooms and knocked down walls to build a steel walkway to a new mezzanine with dedicated desks overlooking the chapel area. We’ve leveraged all the beauty of the old building and transformed it into a space where ideas can grow and entrepreneurs can collide. Gavin: What kind of a challenge was it achieving non-profit status, and how has it benefited what you do? Ron: Our non-profit business model is a cornerstone of differentiation for us. We’ve designated 50 percent of our 21,000 square foot facility as free space for qualified entrepreneurs, and we don’t take cash or equity in exchange for the mentorship, services and relationships we provide. While non-profit status is an integral part of what makes us different from other private incubators and entrepreneur resource centers, the actual process of achieving 501(c)(3) status was pretty routine because we had the insight and experience of Stephen Walter of Shumway, Van & Hansen to assist us. Gavin: For those who may not know, what services do you provide the public at large? Thomas: We provide four categories of service: 1) support for startups and small businesses in the form of mentorship, educational programming and free or deeply discounted services, 2) guidance for companies who need assistance, but aren’t sure where to go or who is best positioned to help them, 3) import and soft landing services for foreign companies who are looking to establish offices in the U.S. and 4) strategic consultation for Utah companies that are seeking to globalize their operations. Our relationships with public and private entities here in Utah, as well as economic development agencies and business incubators abroad (in France and Korea), position us to coordinate resources and connect entrepreneurs and business owners to the right people. Gavin: How can people get involved in Church & State? Garrett: Church & State is community-governed and community-operated. Our doors are open to all entrepreneurs and anyone who is interested in contributing to or promoting innovation and economic development in Utah. 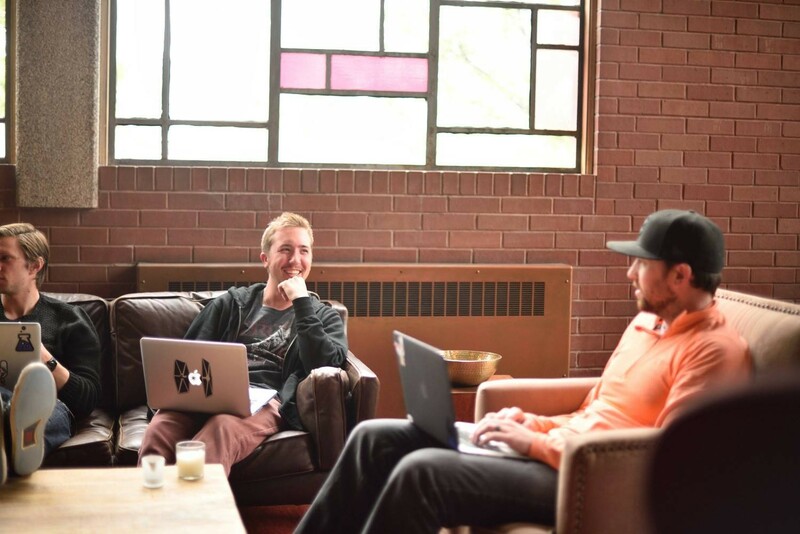 In addition to our co-working space, we offer dedicated desks and private offices, which are available for lease. All of our private office resource partners have committed to providing 16-20 hours of free consultation or mentorship to our community members each month. Whether you’re a student just getting started on your career, or a long-time professional looking for a place where you can share your expertise and experience, Church & State has something to offer. 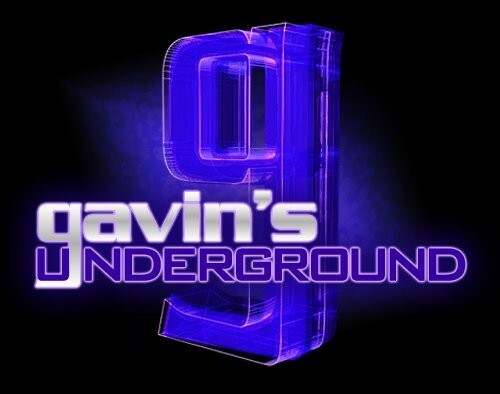 Gavin: What were some of the first events you held at the space, and what was the response like? 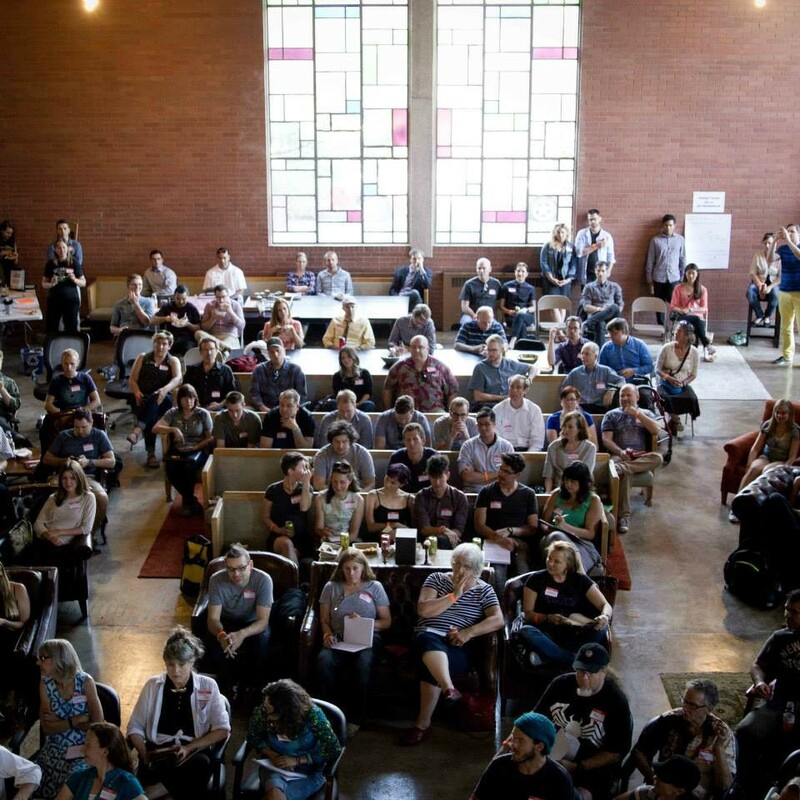 Garrett: Our first big event was an event we hosted with Downtown Alliance for Salt Lake Design Week last October. Since then, we have hosted over 50 events–including pitch competitions, hackathons, startup events, community events and more–with thousands of people in attendance. Some notable events include the Start SLC festival sponsored by Beehive Startups, a health IT startup event hosted by Village Capital and the James Lee Sorenson Center for Global Impact Investing and a Developer's Education series event with ACT | The App Association and Alex Rofman, Director of the Apple App store. 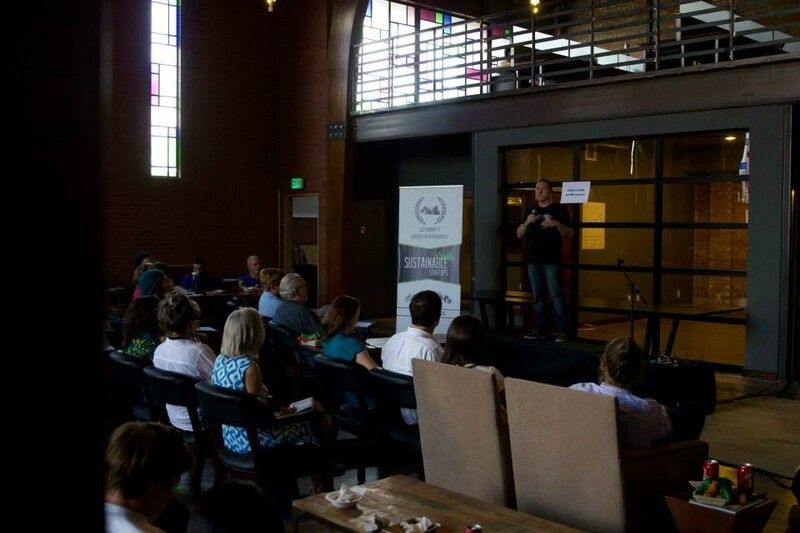 Those who are interested in using our beautiful space to host a memorable entrepreneur event should call me at 801-330-4406. Gavin: How has it been working with partners like DevPoint Labs, Beehive Broadband, Xmission, and others? Ron: Our mission is to align public and private resources to more effectively support entrepreneurs, start-ups and established businesses, whether they are businesses that grew up in Utah or foreign companies that are looking for a home in the U.S. So, our partners are critical to our success. DevPoint Labs has been our partner from the very beginning, and they were the first company to establish their offices at Church & State. Their web development boot camp program is helping to fill a growing need for qualified developers here in Utah. With their scholarships for women and their partnership with the University of Utah, DevPoint combines excellence with a commitment to the community at large. Beehive Broadband donated a gigabit of fiber and Xmission provides an additional 50 MB, so our entrepreneurs are connected at the speed of business. Thomas: We are grateful for the support of all our partners, and our network of partners is getting bigger by the day. It’s been our experience that, when people understand what we’re doing and how we’re different, they want to get involved. And, most importantly, they understand that Church & State exists to benefit the entire community–we support business, and believe that collaboration will lead to greater collective success. Gavin: For those wishing to take part in any of these plans or programs, what do they need to do? Garrett: Give me a call at 801-330-4406 or visit our website. We have a lot going on and there is something for everyone here. We have great mentors, events and programming. Also, feel free to stop by the space and enjoy free co-working Monday to Friday from 9 a.m. to 6 p.m.
Gavin: What can we expect from all of you and Church & State over the rest of the year? Ron: We are continuing to expand our startup ecosystem, developing partnerships with public agencies, private foundations, academic institutions, corporate sponsors, international incubators and economic development agencies and the wide network of entrepreneur resources here in Utah. 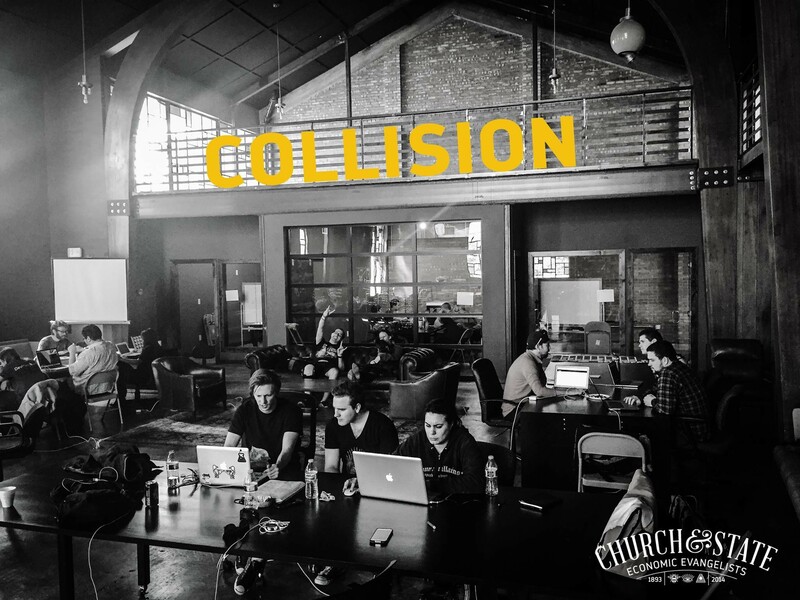 Entrepreneurs need the right support to succeed, and we envision Church & State as the hub from which entrepreneurs can be directed to the best resources for their specific needs. We are also continuing to build an online mentor database, which will be open to everyone. We expect lots of exciting, new initiatives to roll out in 2016, so stay tuned!